Here is your guide to download the ESD file to create your own bootable ISO file for fresh Windows 10 installation. We have also explained in simple terms how to create ISO file with ESD image using which you can install Windows 10 on your PC from scratch. Microsoft committed to the release of ISO files for every new Windows 10 update, however, Windows 10 udpate 10041 ISO files cannot be fully downloaded from the official Microsoft website. Reason behind it could be that the ISO file will become available along with the new insider preview release on Slow rings. But all this is speculation, so instead of waiting, follow instructions below and go ahead download the complete ISO file installing update Windows 10. Mostly Windows 10 updates are stable. But sometimes half-baked updates could cause unexpected errors and problems on Windows 10 OS. Its always better to have a backup plan in such cases. Users can clean install the operating system rather than using Windows updates to get rid of errors. If you are among those who are testing Windows 10 technical preview via virtual hard driver to create a dual-boot system, then updating the configuration to an updates build may not be supported. 1 – First of all, find an install.esd file on your PC, this could be in C:\$WINDOWS.~BT\Sources or some other location depending on your system file structure. Tip: Use Windows search feature to directly go to the location of the file. 2 – Now Download the ESD Decrypter tool (esd-decrypter-wimlib-4.7z) and extract the zip file on PC. You can use 7zip tool or WinRar to unzip installer file. 3 – Copy the install.esd file and paste it into that same folder. 4 – Right-click on the ‘decrypt.cmd’ file and run it as administrator. 5 – On ESD DECRYPTION administrator command prompt, select the option number 2 ‘Create Full ISO with Compressed install.esd’ and hit enter. 6 – Wait for the process to complete after which you should have ISO image file for Windows 10 installation. Its always helpful to have alternatives. There is another NTLite tool that you can use to convert install.ESD file into an ISO image on Windows 10 PC. After creating a custom Windows ISO file, rest of the process is simple. 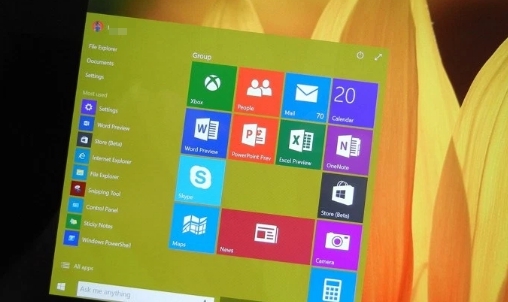 You can install the new update Windows 10 operating system on a virtual machine. You can also dual boot the current version using a VHD tool on Windows 10.